We once again return to Calvary. Calvary, the most sacred and significant place in the world. Calvary is the place where Jesus Died that you might Live. Calvary is the place where we see Man at his Worst while seeing God at His Best. Calvary, where the royal, rich, and red blood of our Sinless Saviour was shed so that wicked, vile sinners could make peace with God through His Son Jesus Christ. Calvary, the place where the Angels in heaven wept while the Demons in hell were rejoicing. Let us remember the first words of Jesus while hanging upon Calvary’s cross. We strained to listen as Jesus prayed for those that had just clamored for His crucifixion; then they placed the crown of thorns upon His head, and drove the thorns deep into His scalp. As the crowd stood gazing upon the One they had wanted to hang and suffer on the Cross, they stood beholding the excruciating pain of God’s only Son (Luke 23: 35). They had now started the mocking, the ridicule, the gambling for His clothing, the taunting to save Himself. But this was NOT in plan of our Gracious God. Finally the crowd heard a small conversation taking place between all three that were hanging on the cross. What were they saying? Each wanted to get closer to hear this monumental conversation that would have eternal consequences for both men on either side of Jesus (Luke 23: 39-43). These words speak loudly and unmistakably of the Glorious Grace of God. Neither man had a right to ask Jesus to forgive them. They were both guilty, condemned men. They were convicted thieves. Yet, God in His grace listened to each man and responded accordingly to each one. Grace is the unmerited, and the unmeritable favor of God. Grace is God NOT giving to man that which he deserves. If you and I received that which we deserve, we would all be burning and suffering in hell this very minute. No, these men did NOT deserve God to even listen to them, let alone answer their prayers. When a person works an eight-hour day and receives a fair day’s pay for his time, that is a wage. When a person competes with an opponent and receive s a trophy for winning, that is a prize. When a person receives appropriate recognition for his long service or high achievements and good performance, that is an award. But when a person is not capable of earning a wage, can win no prize, and deserves no award, yet receives such a gift anyway, it is a good picture of God’s unmerited favor. This is what we mean when we speak of the Grace of God. Throughout His ministry, Jesus had been “the Friend of Sinners” (Matthew 11:19). His antagonists derided Jesus for this. They mocked Jesus by saying, Since Jesus loves sinners so much, and they were His companions in life, we will give Him the privilege of dying with them. Little did they realize that Jesus was actually dying FOR them and not merely WITH them (II Corinthians 5:21). We see one man dying IN his sin; one man dying OUT of his sin, and of course Jesus dying FOR sin. We witness one man Scoffing Jesus; another man Seeking Jesus; and Jesus Sacrificing Himself as the ONLY sacrifice for sin His Father would accept. We witness one man making a decision to go to Hell; the other man making his decision to go to Heaven; whereas Jesus is providing the only HOPE that any will have in gaining entrance into Heaven. One man went to heaven because he placed his faith Completely in Jesus Christ. He finally understood the truth found in John 14:6: “Jesus saith unto him, I am the way, the truth, and the life: no man cometh unto the Father, but by me.” This man did not deserve to go to heaven any more than you and I do, but he made the correct decision. He placed his faith in Jesus Christ as his only hope of going to Heaven. While in India in May of 2014, I realized just how big idol worship was in this great land. There are over 330 million false gods various people worship. Yet, 1,287 came to Jesus Christ during this missionary journey, understanding that Jesus Christ is the ONLY name whereby men MUST be saved (Acts 4:12). What made the difference? Simply preaching and presenting Jesus Christ, and His atonement for man’s sins. 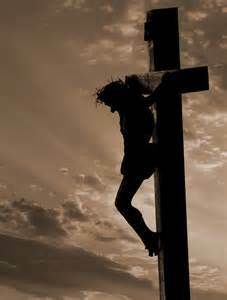 Now there were two sinners hanging beside Jesus while He was paying for the sins of the world (John 1:29). As joyful as Jesus was in one responding to His sacrificial work on the Cross, He was just as broken for the one that literally saw what the Son of God was doing for all people, yet chose to reject the Work of Christ. He understood God’s Provision. He finally grasped that Jesus Christ was doing, not only for him, but for any and all that might call upon Him in faith. Luke 23:41: “And we indeed justly; for we receive the due reward of our deeds : but this man hath done nothing.” God’s PROMISE is found in Romans 10:13: “For whosoever shall call upon the name of the Lord SHALL BE SAVED”! This is a promise from God. In light of this, what was the response of Jesus towards this sinner calling upon Jesus for salvation? Luke 23:42, 43, “ And he said unto Jesus, Lord, remember me when thou comest into thy kingdom. And Jesus said unto him, Verily I say unto thee, To day shalt thou be with me in paradise.” Jesus promised to take him to heaven. Will You Call Upon Jesus Right Now, Placing Your Faith In Him; Trusting In His Grace? If you do, please email me at: JimKilgoreMinistries@gmail.com and I will send you some free Bible Study materials to help you as a new Christian. How Deeply Do We Christians Really Care About Global Missions? This is a parable about how we so often focus in certain areas with the Gospel and yet we neglect the vast majority of the people in the world. Years ago someone told me, “The Good news of the Gospel is ONLY Good news IF it reaches them in time. I believe this old story from 1979 should shed light on the Churches failure to reach the Unreached. This is a Mission’s Parable about Lost People and Putting Global Evangelism Statistics and Numbers in Perspective. Are you familiar with the parable Jesus told about the lost sheep? Here’s one on a similar note except that it’s about the RUINED apples from a potentially PLENTIFUL harvest. The 100 pickers started harvesting immediately. Ninety-four of them began picking around the homestead, (Local Missions). The remaining six looked out toward the horizon, (Global Missions). They decided to head out to the far-away orchards. Sadly, those ninety-four pickers working around the homestead began fighting among themselves. Incredible as it may sound, some began stealing apples that had already been picked. Although there were enough trees on the 10,000 acres to keep every available worker busy, those working nearest the homestead FAILED to move into unharvested areas. They just kept working those 800 acres nearest the house. Some on the northern edge sent their trucks to get apples on the southern side. And those on the south side sent their trucks to gather on the east side. Even with all that activity, the harvest on the remaining 9,200 acres was left to just six pickers. Those six were, of course, far too few to gather all the ripe fruit in those thousands of acres. So, by the hundreds of thousands, apples rotted on the trees and fell to the ground. With so many workers and so few trees, the pickers and packers and truck drivers — and all the rest of the Society for the Picking of Apples living around the homestead — had time for more than just picking apples. They built nice houses and raised their standard of living. Some became very conscious of clothing styles. Thus, when the six pickers from the far-off orchards returned to the homestead for a visit, it was apparent that they were not keeping up with the styles in vogue with the other apple pickers and packers. To be sure, those on the homestead were always good to those six who worked in the far away orchards. When any of those six returned from the far away fields, they were given the red carpet treatment. Nonetheless, those six pickers were saddened that the Society of the Picking of Apples spent 96 percent of its budget for bigger and better apple-picking methods and equipment and personnel for the 800 acres around the homestead while it spent only 4 percent of its budget on all those distant orchards. To be sure, those six pickers knew that an apple is an apple wherever it may be picked. They knew that the apples around the homestead were just as important as apples far away. Still, they could not erase from their minds the sight of thousands of trees which had never been touched by a picker, (This is the DEEP, DEEP burden on my heart. People in the MILLIONS are dropping into hell without EVER hearing the Gospel. Oh my soul is so heavy as I look into the faces of those people whose countries i try to evangelize. Don’t they deserve a chance to hear the Gospel at least once?). Those six sometimes wondered to themselves whether or not the Society for the Picking of Apples was doing what the orchard owner had asked it to do. Original version appeared in Let’s Quit Kidding Ourselves About Missions, Moody Press. © 1979 by The Moody Bible Institute. Edited and revised by Howard Culbertson. What will you do more than what you are currently doing to reach the World for Jesus Christ? Please email me at JimKilgoreMinistries@gmail.com We are Going Global with the Gospel! The News You Never Expected To Hear: Allowing God To Walk You Through The Devastation! Facing devastation, tragedy, catastrophic situations of any kind, can be extremely difficult. But in the midst of heartache and pain, you can find the hope and courage to go on. With God’s help, and the encouragement found in the Bible, you will receive the necessary strength to overcome. You may be thinking, I just do not believe that I can get through this. How will I be able to possibly face this devastation? This can trigger a series of emotions fear, depression, even feelings of despair. Questions may inevitably begin racing through your mind. Why me God? God why has this happened to me? To my Family? Why at this time of our lives? God, will I die from this? Is there any possible way that we can recover from this grave set of circumstances? What will happen to my family if I do die? How will they be cared for? Each one of these questions were honest questions that my wife Cathy and I had to ask during the early days of our hearing the news that we never thought that we would ever hear. As I said before, she never once complained about what God allowed to come into her life for her, her concern was always for me and the three children. Her faith was completely in the one that able to deliver her if it would His will, yet she had the attitude of the Apostle Paul in Philippians 1:20-21. “According to my earnest expectation and my hope, that in nothing I shall be ashamed, but that with all boldness, as always, so now also Christ shall be magnified in my body, whether it be by life, or by death. For me to live is Christ, and to die is gain.” She wanted to live, as we all do. Yet she was focused on her eternal life with Jesus Christ. No, you could not threaten her with heaven! No one really knows why God has allowed this tragedy to enter into your life. Like Job’s friends some might say it is because of some sin that you are being punished for. I have learned in my nearly 45 years of being a Christian that I cannot live by mere explanations, I must have Promises from God’s Word to comfort and encourage me as I pass through the deep waters of life. Explanations have little value by way of satisfying the soul, yet promises are what will sustain you you’re your darkest moments. Let us take note of some precious, yet very powerful promises from God’s Word. 1. You must understand that nothing takes God by surprise. He Sees and Understands Your Pain. Psalm 34:15: “The eyes of the LORD are upon the righteous, and his ears are open unto their cry.” If God’s eye is on the sparrow, He’s most certainly watching you, watching your every step, feeling your deep hurt, ready to walk you through the devastation. 2. You must understand that God invites you to pour out your heart and soul unto Him. Hebrews 4:16; “Let us therefore come boldly unto the throne of grace, that we may obtain mercy, and find grace to help in time of need.” God invites you to approach Him boldly, or confidently. He promised that at his throne of Grace that he will provide you with the grace you need to help in your time of need. What wonderful and precious promises we have before us. As someone once said, “God’s Word provides a soft pillow for our troubled hearts.” You’re probably hurting so badly that all you really want to do is cry. And that’s okay! Even the Lord Jesus Christ wept when faced with the tragedy and sorrow of death (John 11:35). He was so deeply moved within because of the sorrow resulting from Lazarus’ death that He began to weep. When you consider all that you are facing, ask yourself, “Is there anything too hard for God?” (Jeremiah 32:17). Absolutely nothing! No matter what is going on in your life, you can trust that He is in control, and is working everything out for your good (Romans 8:28). When you wake up in the morning and wonder how you will face the day, God is working it out. When you wonder how you can get through and overcome this difficult time, God is working it out. And when you lay down at night, wondering how you will face the challenges of tomorrow, whatever they may be, God is already working it out. God knows intimately the concerns of your heart (Psalm 139:1-3), and can provide all the peace, strength, and courage you need. So don’t give up! Confidently hope in Him. Hope … and persevere! 1. God, how can I use these devastating circumstances to truly Glorify you? Matthew 5:16 exhorts us to, “Let your light so shine before men, that they may see your good works, and glorify your Father which is in heaven.” I Corinthians 10:31 states, “Whether therefore ye eat , or drink , or whatsoever ye do , do all to the glory of God.” This takes the focus off of us and places our focus where it rightly belongs, focusing on God. 2. God, what are you trying to teach me from this adversity? 4. God, are you trying to provide me with a new ministry? In 1939, Dr. Bill Rice and his wife Cathy had their baby girl, Betty, became gravely ill with spinal meningitis. Betty survived a close call but lost her hearing as a result of the high fever. In the following years, Dr. Bill preached the gospel across the country, but even his own daughter could not hear it. The Rices were dismayed that they could find no one who could help them communicate the gospel to Betty. So, with the aid of pictures and a black board, Cathy Rice began to teach her daughter the Bible, beginning with the creation story and culminating with the gift of God’s Son. God used Betty’s salvation to open their eyes to the great need of unreached deaf people across the country. The Lord convinced them that if they had a burden to reach deaf people, they should do something about it. They would reach out to the Deaf as they “did the work of an evangelist” in churches across the country. This is a great example of allowing God to use your devastation for HIS glory. God does have His reasons for allowing adversity in our lives (Romans 8:28-29). Our role is to work with God rather than against his plan in our problems. Oh, what a happy child I am, although I cannot see. I am resolved that in this world, contented I will be. How many blessings I enjoy that other people don’t. To weep and sigh because I’m blind–I cannot and I won’t. To Walk You Through The Devastation! Facing devastation, tragedy, catastrophic situations of any kind, can be extremely difficult. But in the midst of heartache and pain, you can find the hope and courage to go on. With God’s help, the help of caring family members and friends, and the encouragement found in the Bible and other resources, you will receive the necessary strength to overcome. You may be thinking, I don’t know how I could ever get through this. Or you may be battling powerful feelings of despair, suffering, confusion, fear, worry, and even anger. These are all normal responses to tragedy. The words that my wife and I NEVER expected to hear came during 1991. My wife was doing a breast exam and was shocked to feel a lump during her examination. Needless to say, it was the longest night of our lives. The next day, Cathy called the doctor, and scheduled her appointment. They got her in and a few days later the results of the testing came in. We were at home together when the telephone rang. It was someone from the doctor’s office. I was standing close by waiting for Cathy to relay the report that all was well. Then I saw a look of absolute horrific look that paralyzed her face. Then there was a blood-curdling scream that came from my wife as she dropped the phone, and stumbled back six feet, hitting the wall, then sliding to the floor in obvious agony of soul. The news that she had just been told was, “Mrs. Kilgore, you have Cancer!” Oh my, our lives were about to be changed forever. This was definitely news that we NEVER expected to hear at a relative young age of 37. My wife handled the news, after this initial shock in a way that I can only wish that I would had. She was my life. Cathy truly honored and glorified the name of Jesus Christ each step of the way following this life-changing news. She never once uttered a word of complaint against God not doubted God’s love and personal care to her. Her faith was unshakable! She became a exceptional example for our children, and myself as to how to allow God to walk a person through the devastation that enters into their life. No one really knows why God has allowed this tragedy to enter into your life. Like Job’s friends some might say it is because of some sin that you are being punished for. I have learned in my nearly 45 years of being a Christian that I cannot live by mere explanations, I must have Promises from God’s Word to comfort and encourage me as I pass through the deep waters of life. Explanations have little value by way of satisfying the soul, yet promises are what will sustain you you’re your darkest moments. Let us take note of some precious, yet very powerful promises from God’s Word. 1. You must understand that nothing takes God by surprise. He Sees and Understands Your Pain. Psalm 34:15: “The eyes of the LORD are upon the righteous, and his ears are open unto their cry.” If God’s eye is on the sparrow, He’s most certainly watching you, watching your every step, feeling your deep hurt, ready to walk you through the devastation. You may be wondering, Who can rescue me from this? Be encouraged! Even in the deepest of waters, God promises to be with the one who trusts in Him. He alone can truly rescue you and keep you from drowning. Just as Jesus rescued Peter when He invited him to walk on water in the midst of a storm (Matthew 14:22-33). At first, Peter trusted Jesus and joined Him on the water, but as soon as he began to focus on the storm, and give in to the fear of it, he began to sink. Still, when he cried out, “Lord, save me!” (Matthew 12:30), Jesus stretched out His hand and rescued Peter. What a great encouragement this should be to you today! Jeremiah 32:27 asks the question that perhaps you are now asking, “Behold, I am the LORD, the God of all flesh: is there anything too hard for me?” The answer is found in Jeremiah 32:17: “Ah Lord GOD! behold, thou hast made the heaven and the earth by thy great power and stretched out arm, and there is nothing too hard for thee:” There is Absolutely NOTHING too hard for our God to do! When you feel as though you are sinking deep in your sea of devastation, please look to the One that Walks on Water! Untold Billions REMAIN Untold: A Case For Global Evangelism! Untold Billions REMAIN Untold: A Case of Global Evangelism! • The truly “unreached world” of people who have never even heard the name of Jesus. • Percentage of the global population: 28 percent. • Percentage of missionaries targeting World A: 2.5 percent. • The “unevangelized world” of people who have limited access to the Gospel but are not yet considered Christian nations. The Gospel has penetrated their borders but has not reached the majority of the people. Given time, the majority of the people will be reached—perhaps within two or three generations. • Percentage of the global population: 39 percent. • Percentage of missionaries targeting World B 17.5 percent. • The “evangelized world” of people who have full and unrestricted access to the Gospel, regardless of whether or not they choose to hear or accept it. • Percentage of the global population: 33 percent. The last 15 years has revealed a 50% reduction in Americans ENTERING the mission force. “Of those who answered the call, 43% NEVER completed fund-raising “deputation.” WHY? There are many “Reasons.” Sometimes the Missionary grows frustrated and discouraged by what they face while on deputation. 75% of those who made it to the field came home within three years, and only 17 of every 100 who began the process, actually arrived and remained,” Gil Anger, Researcher. This of course greatly concerns me. Yet, the latest estimates suggest that approximately 7,000 people groups are considered unreached. That means over 43% of the world’s people groups have no indigenous community of believing Christians able to evangelize the rest of their people group. Over 41% of the world’s population live in these over 7,000 people groups. It is important to note that this does not mean every individual within an unreached people group has never heard of Jesus or understood the message of salvation. There is often a small percentage (less than 2%) Christ-followers in these groups, but the vast majority of the group has minimal, if any, exposure to the person of Jesus Christ and the Good News of God’s free gift of salvation. • “Of foreign mission funding: 87% goes for work among those already Christian, 12% for work among already evangelized, but Non-Christian, 1% for work among the unevangelized and *unreached people. (Baxter 2007, 12). 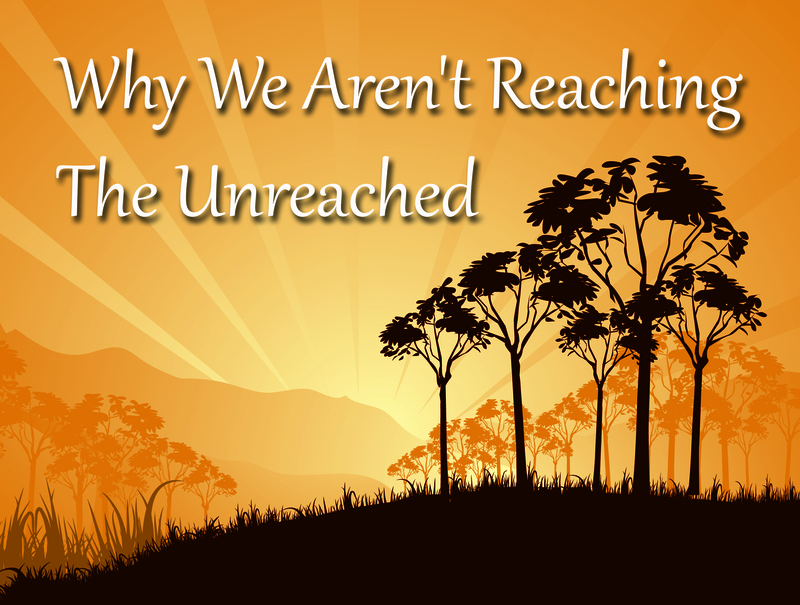 Why Are So Few God-Called Missionaries, Actually Getting To the Field? The easy answer is that they were probably never called in the first place. Or, that it “must not” had REALLY been “God’s will” for the Missionary to go in the first place. Really? Are we truly serious by accepting these shallow explanations? Let me share some of the “reality” that faces the average missionary trying his best to get to the place of God’s calling. Missionaries often face an avalanche of non-returned phone calls while seeking to introduce themselves, and their ministry. Of the relatively small amount of those reached, there is an overwhelming number of church leadership that will immediately say, “Brother, I would love to help you, but the economy is tight and we just cannot take on any more missionaries.” A Missionary simply wants the opportunity to come and share God’s calling for their life. Our ministry is a Global ministry in which we travel all over the world, evangelizing, and we then start Churches from those saved. Last year God graciously allowed us to also help start two Bible Colleges as well. I can truly say, that without generous support, and those that are giving financially each month that this type of ministry would not be possible. God knows how to bring people together to accomplish HIS ministry. 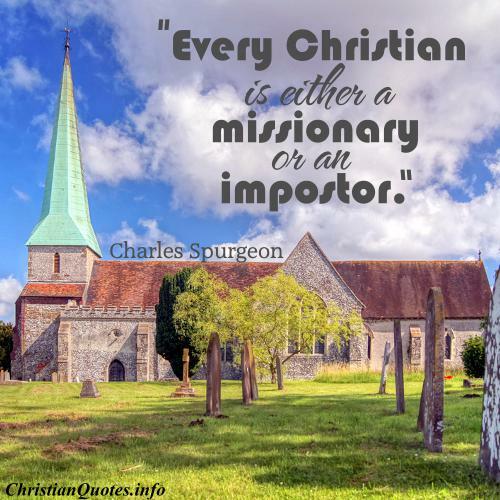 Missionaries are so varied in their looks, schooling, and church size they are coming from. Even their personalities are diverse. Some are shy and introverted, which may actually become a barrier in getting selected to share their call in a church. While others are very out-going and extroverted and may find a much easier time to receive “the invitation” to present their calling in a local church. Yet God is able to use us all for His Glory! Yes, God uses many different personalities in missions and ministry. He used Peter that was quite the extrovert, while using Moses that had a speech impediment. He used a Jack Hyles that was often loud and highly motivating, yet he used a Jonathan Edwards that was a man that had poor eyesight and held his sermons close to his eyes as he read them. All were greatly used of God, yet we may make a decision to have or not to have a Missionary based on his personality. No missionary I know of, is expecting a church to completely understand their exact calling, or be as ecstatic and exhilarated as they are with the call. However, they do expect each local church to give prayerful consideration of this calling, so they might present the need and their call. The Great Commission has long become the Great Omission! Imagine the shame Hudson Taylor felt when a new Chinese convert raised the question, “how long ago did you say Jesus died??? NONE of my ancestors had ANY idea.” This is completely unacceptable and we must ALL work together to reach the World for Jesus Christ! Here is what the Bible teaches that we must allow our hearts and minds to become possessed with, as we strive TOGETHER to win the multitudes to Jesus Christ. 1. We must really believe that all people are sinners. Romans 3:10; 3:23. 2. We must really believe that all people deserve to die and go to hell. Romans 6:23. 3. We must really believe that Jesus Christ died in every person’s place, shed His blood as the only payment of man’s sin, died, and was buried, and three days later, Jesus rose from the grave. Hebrews 9:22, I Corinthians 15:1-4. 4. We must really believe that Jesus Christ desires every single person to hear the Gospel and come to salvation which is only through him. II Peter 3:9; I Timothy 2;4; I John 2:2. 5. We must really believe that God has called each Church and Christian to take this Gospel of Salvation and teach it to the World. Matthew 28:18-20; Mark 16:15; Luke 24:47; John 20:21; Acts 1:8. 6. We must really believe that if any person will come to Jesus Christ, that He will saved them and take them to Heaven. John 3:16-18; Romans 10:9-13; I Timothy 1:15. 7. We must really believe that EVERY one without Jesus Christ WILL spend eternity apart from Jesus in the Lake of Fire. Revelation 21:8; Revelation 20:14-15. 8. We must really believe that God Takes No Pleasure in The Death of the Unsaved. Ezekiel 33:11. 9. We must really believe that God will hold the Believer, as well as the Church accountable for failing in Global Missions. Romans 14:11-12; II Corinthians 5:10. 10. We must really believe that our time is short. II Corinthians 7:29. Therefore, we must do all that we can while we can for the Cause of Christ! The Calling and Command is clear and concise: Take the Gospel to the Entire World. What reason will you use for not Giving or Going in obedience to the Commands of Jesus Christ? Yes, Untold Billions REMAIN Untold! This is not an Option to Consider; it is an Order to be obeyed! Will you allow the TRUTH to grip your heart this day so that it leads you to do more for Missions? You possess the truth, but does the truth really possess you? Until it does, the sad plight of those without the Gospel will continue to plunge into an everlasting hell. The Mission of Jesus is to be the Mission of the Church! There once was a time in which revival was a good thing to have. A time in which having a revival meeting was something the people actually looked forward to. A time in which Christian would gather around the old altar late into the night, and into the early morning hour crying out for a personal and national revival. I remember some of those days. The crying, the agonizing, the souls panting after God wanting to get a glimpse of the Glory and Majesty of God. America today is unrecognizable to me from those days of yester-year. We live in a nation on the verge of collapse. Oh my soul cries out to God to allow me to do my part in turning over a better world for my Grandchildren to live in. Our American families have been shattered. Our faith has been compromised where you can enter a church and not even hear the name of Jesus even mentioned except at the close out each prayer. Yes, we MUST have revival in America. We have ALLOWED Jesus Christ to be kicked out of American schools for years, with nothing more than a whimper from the Church. We now live in a world where Christians and the Church has ALLOWED Jesus Christ to be removed, while actually allowing and promoting Islam in schools across America. We allow Islam to be taught and studied, yet a child cannot even read his Bible during recess time in America without severe repercussions. Why has this happened? Because we have grown cold and complacent in America. In the Pledge of Allegiance to America, God. We must have revival in America! Since the Row vs Wade Supreme Court decision in 1973, America has stained the blood of 58 million BABIES! God help us! During the last 30 years, our countries combined have brutally murdered 1,322, 372,570 precious babies. During the first 22 DAYS of January, 2015 America has already butchered 65,000 innocent babies, with 2.2 billion priceless babies already murdered in our world. We MUST have revival in America! We have got to have a National revival. A return to godliness. We have ALLOWED, as a result of our spiritual weakness, and because we have lacked the courage, and spiritual back-bone to take a strong, uncompromising stand for Jesus Christ (Ephesians 6:11, 13). Where do you go in America to hear a preacher passionately pouring out his heart against sin while promoting the holiness of Jesus Christ? The average pulpit has been stripped of its spiritual power when it quit preaching against Biblical sin! This is why we MUST have Revival in America. America will never experience revival until the preacher starts lifting up his voice to bring people back to God. Last year while reading through the Books of Jeremiah and Lamentations, I was reminded of a man that likewise was very concerned about the spiritual condition of his country as some of us are this morning. His name was Jeremiah. He was a true Man of God. Let me give you some background into the days in which Jeremiah lived and see if you can see America, or your country in the Biblical account of the nation of Judah. Around 975 B.C., the nation of Israel had divided. Jeroboam I led the 10 northern tribes to become insurgent against King Rehoboam, the son of Solomon. The Northern Kingdom came to be known as Israel. Its capital was eventually located in Samaria. All of the kings who ruled over the Northern Kingdom were wicked, godless men. Israel was conquered by Assyria in 721 B.C. Nearly all of the people were taken into Assyrian captivity. The Southern Kingdom was known as Judah. Judah was made up of the tribes of Judah and Benjamin. Their capitol city was Jerusalem, where the temple was located. Although most of its rulers were wicked, they did have a few that were faithful to God. However, Judah became a godless nation. Because of this, God allowed Babylon to conquer it in 606 B.C. Some of the leading citizens, including Daniel, Shadrach, Meshach, and Abed-Nego, were taken to Babylon at this time. When Judah rebelled against Babylon in 596 B.C. others, including Ezekiel, were taken as captives to Babylon. Finally, in 586 B.C. , in what was a preview of what I believe could very well happen to our blessed country of America, the army of Babylon destroyed the city of Jerusalem. Solomon’s temple was torn down. Most of the remaining people were carried away into Babylon. 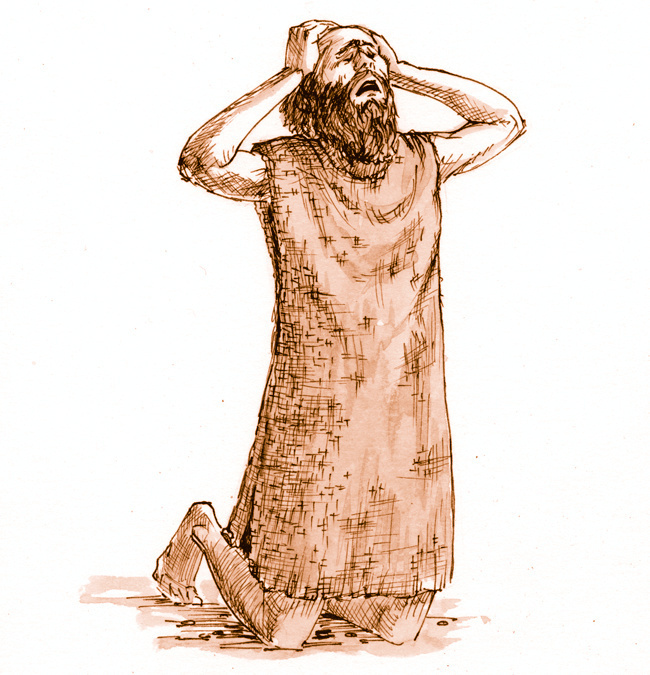 During Judah’s last days, Jeremiah served as God’s spokesman to them. Jeremiah, like many in America, was born during a troubled time in his country’s history. As we face in our world of the 21st century, great nations were struggling for control of the world. Does this sound familiar with the modern day terrorists trying to seize control of the world, infiltrating one country at a time? The powerful Assyrian Empire was slowly dying, as is some of the truly great countries in our lifetimes. Babylon became a superpower once its army defeated and conquered Nineveh. Nineveh was capital of Assyria Empire, in 612 B.C. Egypt had been a world power for more than one thousand years. It was striving to maintain its power against threats from Babylon. The little nation of Judah was located directly between these two global giants or superpowers. When the armies from the Babylonian Empire marched to fight the armies from the Egyptian Empire in the Nile Valley, they had to go through Judah. Many times, battles were fought on Judah’s territory. Its people suffered greatly as a result. Kings of Judah were tempted to make alliances with either Babylon or Egypt as protection against the other one. Jeremiah and the other prophets warned them to trust in God instead of these alliances. Spiritually, the people of Judah had sunk very low. After the death of Hezekiah, a good king, his wicked son, Manasseh, came to the throne (2 Kings 21:1-9). Manasseh was followed by his son, Amon, who was also wicked (2 Kings 21:19-22). When Amon was killed by his own servants, his eight year old son, Josiah, was placed on the throne (2 Kings 21:23-26). Josiah was the last of the good kings of Judah. He led the people back to God and His Law (2 Kings 22, 23). Sadly, his godly rule was cut short when he was killed in battle at the age of 39 (2 Kings 23:29). It was during these times that God called Jeremiah to prophesy during the rule of Josiah (Jeremiah 1:1-10). Jeremiah saw what was about to happen to his country of Judah. He knew that unless the people got serious about revival that their beloved city and temple would be destroyed. Further, he knew that many men, husbands and fathers would be killed in the fierce battle. He likewise could see the women and children being carried away as slaves to the wicked Babylonians. I can visualize the agony on the faces of the Men as they were now fighting a losing battle. Their opportunity to repent and experience a genuine revival had passed. Judgment was now in the form the battlefield where these valiant men were losing. Judgment could be heard by the weeping and wailing of the women and children as they were being carried away from their homeland forever. The pain on the faces of the surviving men from the battle as they were now bound and absolutely helpless to prevent their women and children from going into a hostile land. You read of Jeremiah boldly preaching to the nation of Judah to repent and return to God. As with some of you reading or listening to this message, they just do not believe that God would really bring Judah down by using a heathen nation to chasten them. Guess what, neither do you or MOST of America. We just cannot envision God using terrorists people and countries banding together all over the modern world to bring America. Yet God is allowing this to happen, right before our very eyes. Every night on the news we read or watch of more Christians beheaded; small children and women buried alive at the hand the enemy of Jesus Christ. I believe God is allowing this to happen to create the type of persecution that will drive Christians back to Jesus Christ. Jeremiah warned his country with tears, to flee to God. They just refused to listen. The agony upon his heart was excruciating. All through the book of Jeremiah, we see the Man of God warning, begging, and pleading for the nation to return to God. They just would not listen! Once you begin reading the second book which Jeremiah was used of God to write, called the Book of lamentations, the judgment had fallen. Some have described Lamentations as “a funeral chant for Jerusalem. Lamentations is often called “The Tears of Jeremiah.” Each of the five chapters of Lamentations is a poem. It shows clearly that God will punish even His own people if they do not repent of their sins. Watch the Man of God, with his heart shattered at what he was watching, the captivity had begun. It was now too late to avert the judgment of God. America, we are very close to destruction. I just lost some of our more liberal Christians. You simply do not want to hear the truth. Therefore you are not willing to help bring America back to God. We are living during days in which the America I experienced for 60 years of my life, is coming to a close. We have become like the frogs on the stove. If you place a number of frogs in a pan of lukewarm water, and then place that pan of living frogs on a stove, then turn up the heat all at once, and they will all jump out to save themselves. But place those same frogs in a lukewarm pan of water, and SLOWLY turn up the heat, the frogs will become immune to the slow temperature change and remain in the pan of water until they slowly boil to death. The time has NOW come! America, Don’t Wait, until It is Too Late! Our time IS Short (I Corinthians 7:29), so we MUST pray, we must repent, and we must GET INVOLVED (Nehemiah 1:11). Christians, we MUST have a Revival in America! What are YOU Doing to help Save America? What are you REALLY DOING to make a difference? Will you begin by returning to God? Will you confess your sins as David had in Psalm 51:10? Will you confess your sins and receive the cleansing needed in your life as promised by God in I John 1:9? Jesus Christ is Our ONLY hope. The early Church turned the world upside down for Jesus Christ. We can to! We MUST do all that we can, while we can! EVERY American will soon say, “I WISH that I would have, or each will say, Thank God that I did!” It is Your Country, so it is your choice. We are living at the midnight hour. Judah let the clock pass midnight and it brought years of devastation. Will American Christians learn from Judah’s mistake? Will we return to God? Will you contact me by replying to this message letting me know that God has spoken to your heart about revival and returning to God? Humility is the first step to revival , (II Chronicles 7:14). We MUST Have Revival In America!